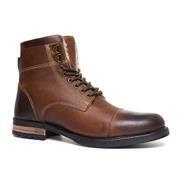 Men’s lace-up boots have long been a crucial component of every gent’s wardrobe. 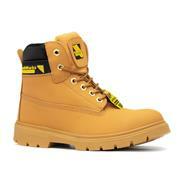 In recent years, lace-up boots have grown even more popular. 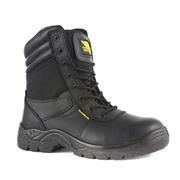 They’re fantastic for a range of situations where offering your feet support and comfort is paramount. Whether you’re heading out for a long walk, or you’re going to be working a long shift in a warehouse or construction site, a pair of substantial tie-up boots is sure to prove an asset. 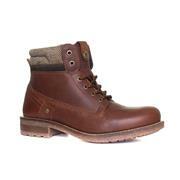 In this part of the site, we stock men’s lace-up boots in a range of colours, styles and configurations, to fit just about every situation. There are men’s brown lace-up boots, which will make a great match for a set of jeans. 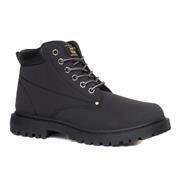 Then there are men’s black lace-up boots, for when you’re feeling a little more militaristic. For situations where you need to protect your feet, a pair of steel-toe capped boots is a must – and you’ll be grateful of them next time you drop something heavy on your feet! If you’re in need of something a little more stylish, then why not consider a desert-style pair of men’s leather lace-up boots from Hobos? They’re great for everyday use, and are also available in suede-effect. 62 products from £14.99 to £69.99.